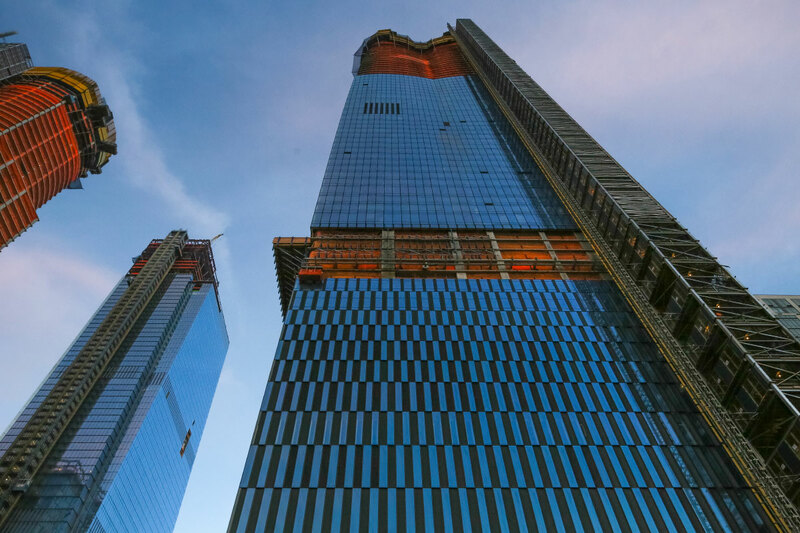 The sprint to finish the first phase of the Hudson Yards megaproject is on, as the Diller Scofidio + Renfro and Rockwell Group-designed 15 Hudson Yards (Ismael Leyva Architects is serving as the architect of record and handling the interiors) topped out today. The 917-foot-tall condo tower will be the first residential building to open in the new neighborhood, and if construction finishes at the end of 2018 as planned, then the first phase of the new neighborhood will be on track for its March 2019 opening. 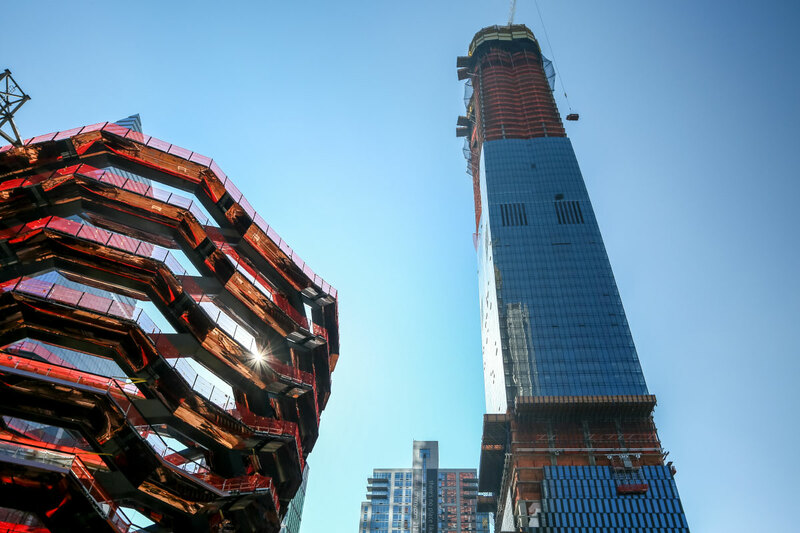 The 285-unit 15 Hudson Yards is one of the last pieces of the project’s first phase, including the recently completed, bronzed stepwell Vessel nearby, and represents a culmination of five years of work at the site. 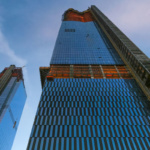 Although the tower features a glass curtain wall similar to the other buildings on the site, 15 Hudson Yards gradually splits and rounds as it rises, resembling a set of conjoined smokestacks emerging from a square base. The LEED Gold-certified tower will also recycle stormwater, and use capture runoff to support the cooling systems. Once completed, residents will have 40,000 square feet of amenity space, including a 75-foot-long swimming pool in a full “aquatics center,” a fitness club, golf lounge, wine storage and tasting room, and a co-working space for residents. 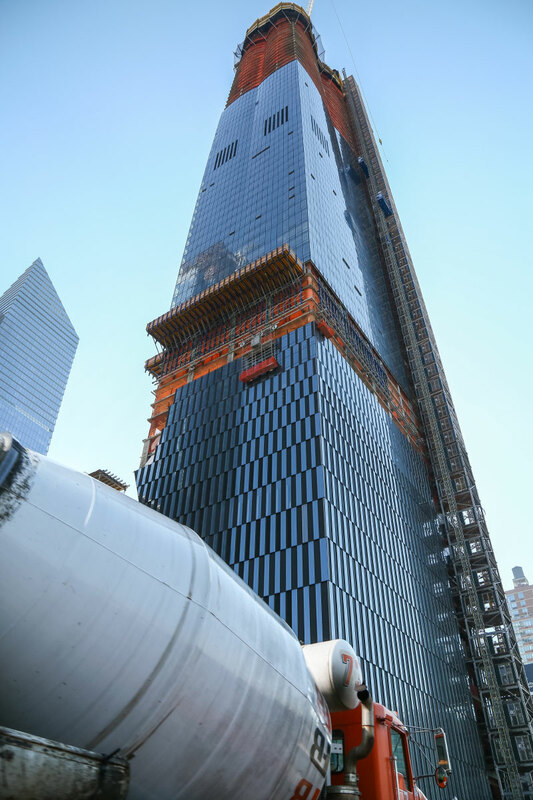 The lucky buyers get to look down on The Shed, as 15 Hudson looms over the extendable cultural venue, also designed by Diller Scofidio + Renfro and Rockwell Group. 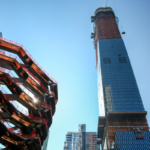 As the first phase of the 28-acre, 18-million-foot mixed-use development winds to a close, speculation is heating up over who developers Related Companies and Oxford Properties Group will tap to design the largely residential second phase of Hudson Yards. As AN reported earlier this month, architects Santiago Calatrava and Frank Gehry are both in the running to design residential towers on the western half of the site. 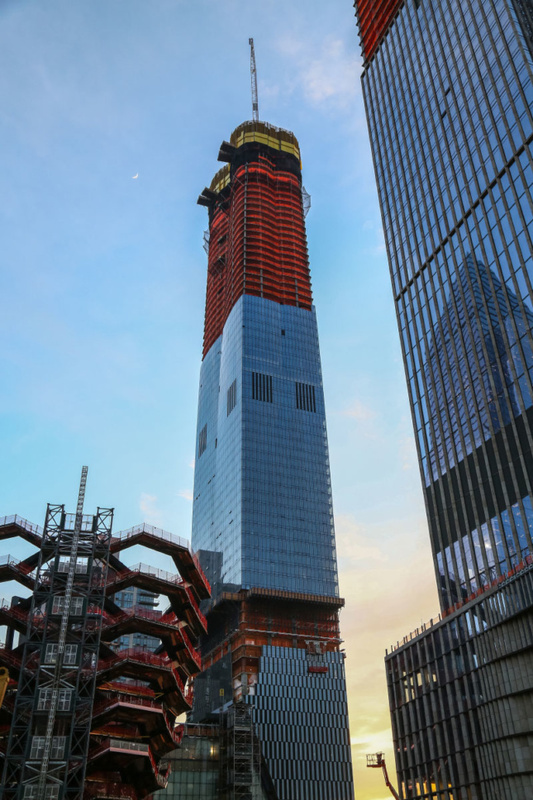 Hudson Yards will contain about 4,000 residential units once it’s fully complete in 2024. 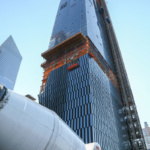 Check out a time-lapse video of 15 Hudson’s construction below.